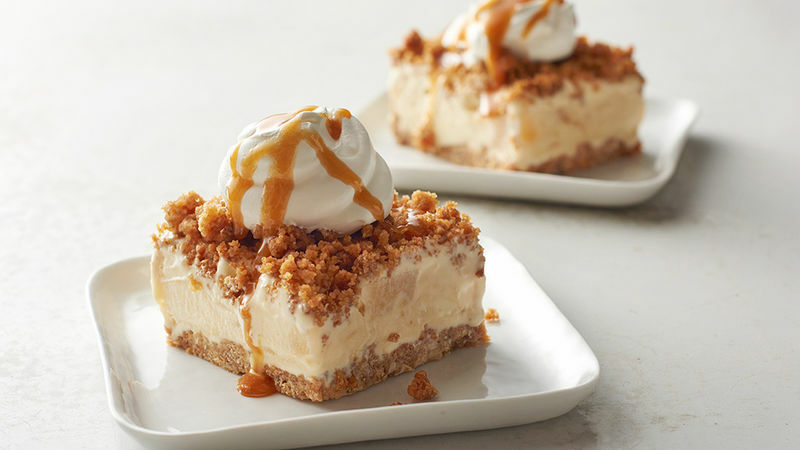 Sheet cakes, layer cakes, dump cakes—they’re all great but when it comes to the perfect balance of crunchy, creamy and delicious, nothing beats a crunch cake! Whether it’s the crushed granola crust or the frozen filling, there’s no limit to what flavors you can dream up. Add fresh or frozen berries for a sweet summery mix, or peanut butter and chocolate for a rich, decadent treat. Or be extra bold and add bourbon and bacon for the perfect blend of sweet and salty. The best part is that no matter what you use, crunch cakes are easy to make and can even be made ahead of time so it’s ready when you are! Assembly is fast and a few hours in the freezer means you can have a frozen treat that’s ready to share with everyone.